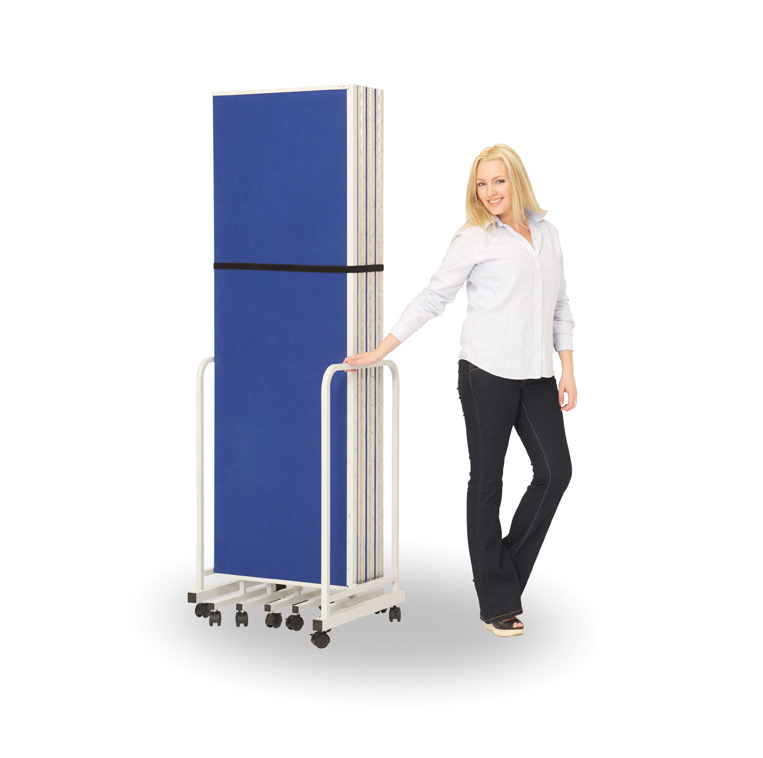 The Insta Wall is a light, yet flexible room dividing system made up of panels which are 600mm wide x 1800mm high. 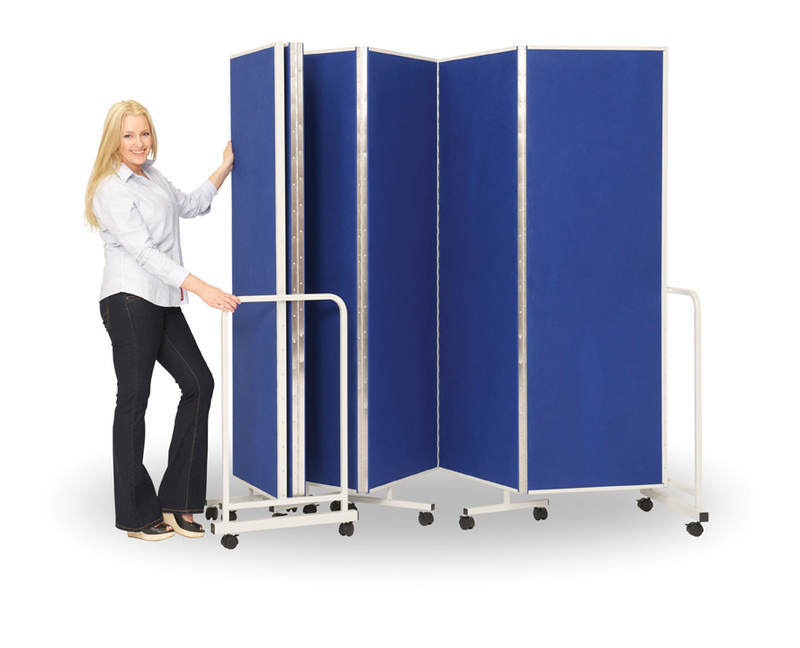 Panels are hinged with 'piano hinges' making them stable in any configuration from straight to curved. 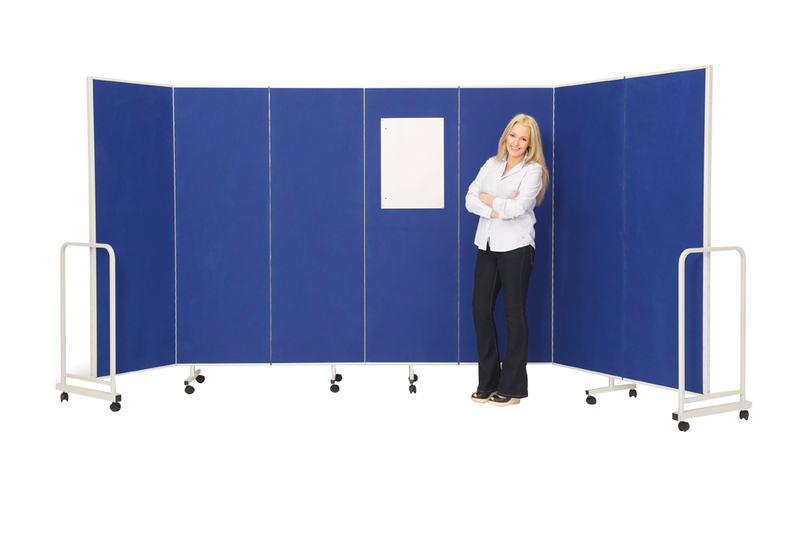 This mobile partition screen is covered both sides with fire retardant felt which can be used with pins and Velcro so can also be used as a display board. The felt comes in a choice of grey, red, green and blue. 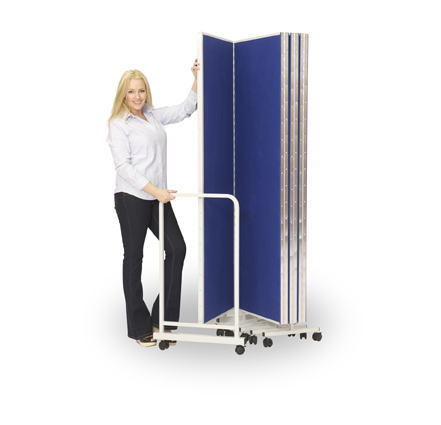 This concertina screen is light and easily moved and operated by one person. 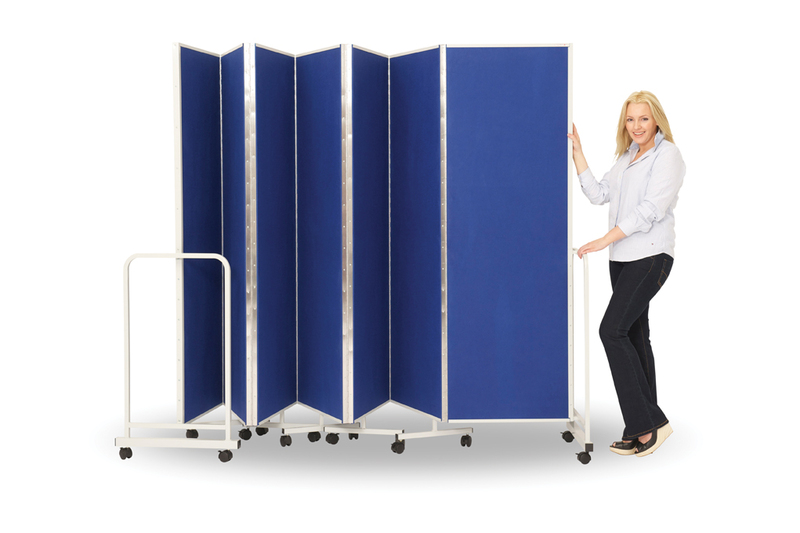 When not in use it folds neatly into its own frame.